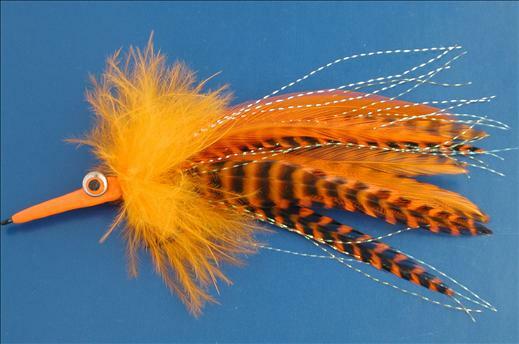 The Orange Grizzly Tarpon Fly is an eye catching pattern. It is very important when Tarpon fishing to remember that colour and movement are paramount in attracting the fish. Currently there are no comments about the Orange Grizzly Tarpon Fly fly pattern from other fly fishermen yet.